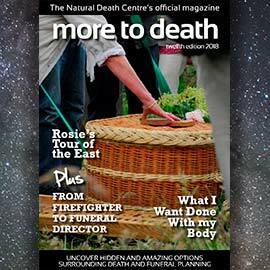 The Natural Death Centre is an amazing resource and their official publication, More to Death, addresses so many issues surrounding death and the support industry that has built up around it. 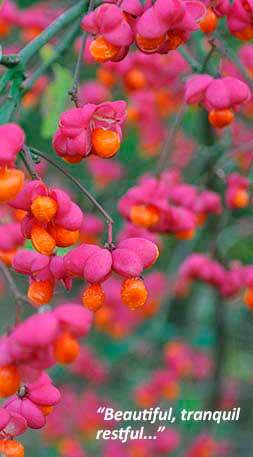 It guides and tackles issues head on, changing the perception and attitudes that surround death, loss, grief and so much more. 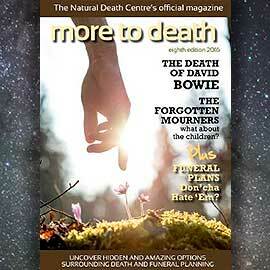 A publication that opens peoples eyes and allows them to view it all in a totally different light. Newsletters are presented in reverse chronological order - the latest editions first. 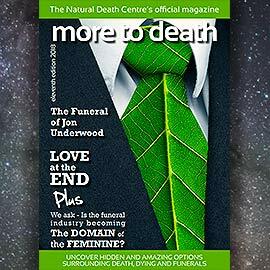 Articles include:- Why go Direct, Love at the End, Undercover, Hidden and Amazing Options surrounding Death, Dying and Funerals plus the Funeral of Jon Underwood and more. 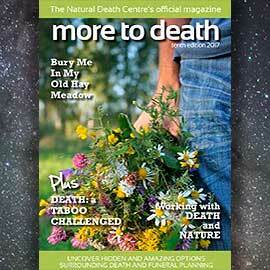 Articles include:- Working with death & nature. 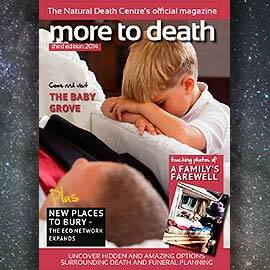 Death, a taboo challenged. Do we really need words at a funeral? 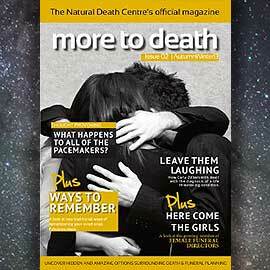 Full Circle Productions; a live show about death. As always, there is so much more! 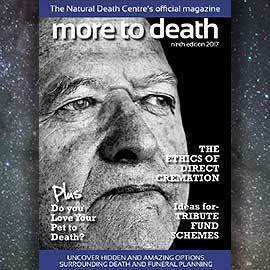 Articles include:- The ethics of direct cremation, tribute fund schemes, rethinking the approach to death, sensitivity for crime scenes, and the Good Funeral Awards - to mention but a few! 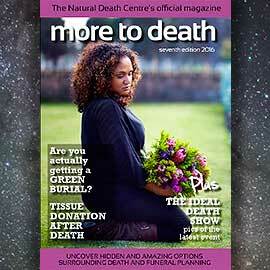 Articles include:- Are you actually getting a green burial? 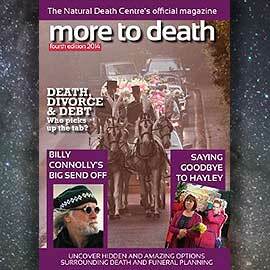 Tissue donation after death. 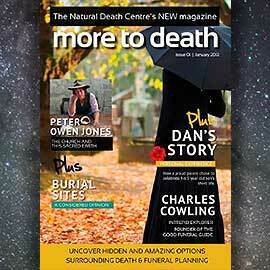 The ideal death show and so much more as you uncover the amazing options surrounding death and funeral planning. 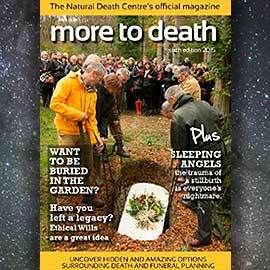 Articles include:- Peter Owen Jones - the Church and this sacred earth. 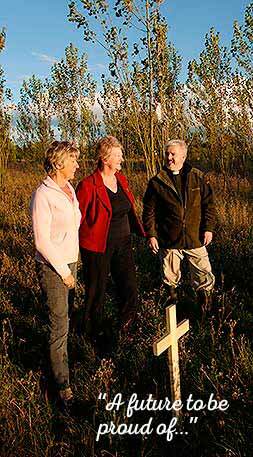 Burial sites - a considered option. Charles Cowling - founder of the Good Funeral Guide. A personal experience - how a parent chose to celebrate their son's short life, and so much more. 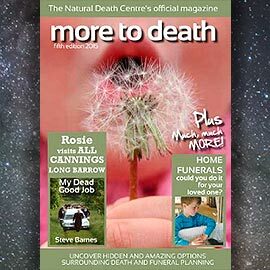 We have been advertising in this publication since the early days because we feel that it offers a valuable insight into death, grief and the industry as a whole; genuinely an eye opener for all that read it. 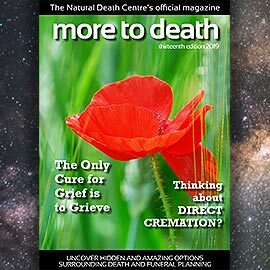 Whilst the publications can be accessed here for convenience in PDF format, the official flipping book version can be found online here, More to Death together with other publications under Jayne Lea's name. We obviously cannot accept any responsibility or credit for the articles contained in the above publications. All related linkes that you find within the publications will lead to third party websites that we have no control over. We welcome Rosie Inman-Cook's offer to 'spread the information you may learn from this publication, plagiarise at will...' It's the only way to truly effect change, attitudes and educate. Thank you and thank you to all those that contribute.